6 more weeks of Winter? 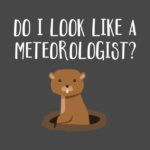 Why does a groundhog get to make the rules? Looks like some of us will be moving in weather that Wisconsinites know far too well. We offered 3 steps to Declutter your apartment for Spring, last year. So, the least we can do is offer 3 tips and encouragement, that will make your move to any of our Southeastern Wisconsin locations in winter, much easier! Worrying about being too cold or too hot, is always stressful when you prepare for heavy activity during the winter months. Continuous exertion will cause your body to heat up, leaving you uncomfortable and even more “excited” about moving day. Layers are your friend! Being able to discard layers of clothing throughout the day will insure you’re ability to get the job done efficiently and without too many breaks in the Uhaul changing room. Moving when it’s cold outside is one thing, moving into a FREEZING apartment is a WHOLE other thing! WE Energies should be in your name for the 1st of the month or whichever day you are planning on officially taking your apartment keys. The first trip to your new home could be to put away groceries in the refrigerator and freezer. While there, make sure your heat is on and ready to keep you and your movers nice and warm. Safety is priority number one! However, with all of the salt on sidewalks and entryways, safety also comes with some serious clean up. Take care of your new floors with walkway protection film, like this brand from a local hardware store- Menards Surface Shields. Break down a few card board boxes for the entrance and you’re covered! Literally. Extra Tip – Instead of tossing those shirts too worn for Goodwill donation, use them as extra cleaning supplies. It’s always the little things, that fall between the cracks during moving time. Be a pal and share this post with those family and friends prepping for an upcoming move.